Personal contact information for students, parents, and employees will not be published on the public area of our website. Student and parent contact information is available only to parents, students, and employees. Home phone numbers and addresses of faculty and staff are only accessible to employees. 1. All material on this website, unless otherwise noted, is the intellectual property of The Governor’s Academy. 2. Copying, distribution, transmission, dissemination, modification, alteration of or addition to the materials on this website is strictly prohibited without the express prior written consent of The Governor’s Academy. Our website and its contents are intended only for the individual, non-commercial use of website users. You may view, download, and print pages from the website provided that you do not resell or republish any portion of the content. 4. This website may include links to other websites. These links are provided for your convenience only. You agree and acknowledge that The Governor’s Academy has no control over these linked websites, and is not responsible for the availability of these websites. We do not endorse nor have any responsibility for the content or materials on or made available from these linked websites. The Governor’s Academy has adopted and enforces the standards set forth in this disclaimer for material posted on our website. However, we do not assume any responsibility or liability for content provided by faculty, staff, and students on their personal web pages. 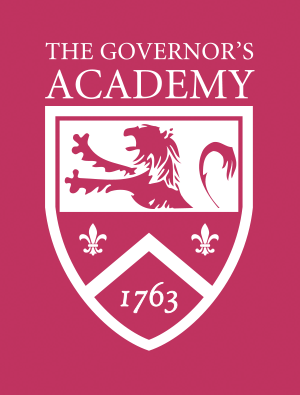 The Governor’s Academy website contains password-protected portals intended to facilitate communication within and between its employee, parent, student, and alumni communities.